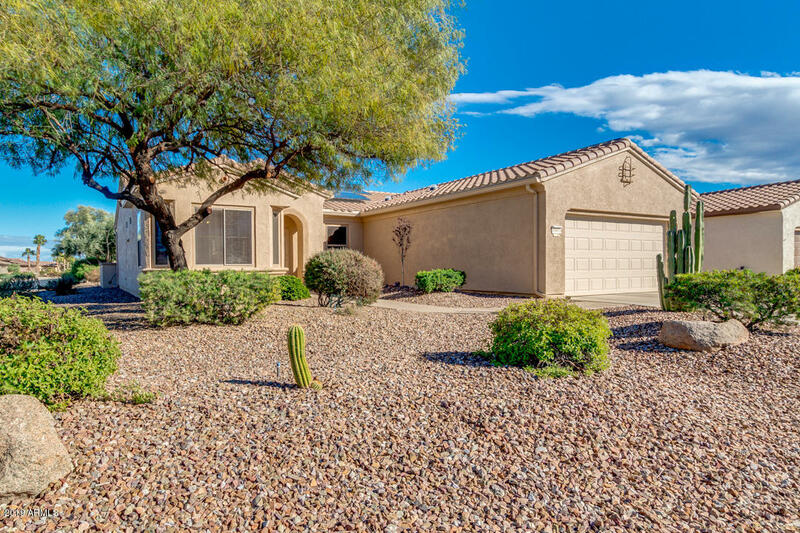 All SUN CITY GRAND PATAGONIA homes currently listed for sale in Surprise as of 04/23/2019 are shown below. You can change the search criteria at any time by pressing the 'Change Search' button below. "WOW! Super popular expanded ''Borgata'' with Casita, located on the 5th Tee box of Cimarron Golf Course. Enjoy stunning sunrises& sunsets from the raised patio in the beautiful and spacious back yard and included hot tub. Main house,2bd,2ba,plus DEN,AND CASITA,1BD,1BA. Master bedroom features a large bay window & Custom design closet. Office has design built in desk, cabinets, shelves & golf course view.Dining nook has a bay window and shares access to a secluded casita courtyard. Casita featur"
"REDUCED PRICE!! 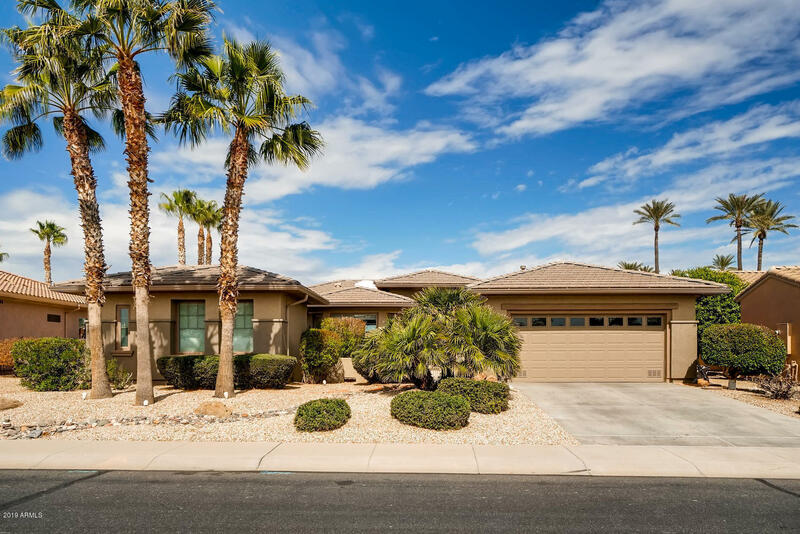 Beautiful extended SYCAMORE model home in Sun City Grand Patagonia section, quiet Cul-De-Sac corner lot. This lovely home has 2 bedrooms, 2 bathrooms plus a den. Upgrade it and make it your own. Solar panels since 2012, will allow you to enjoy all the benefits of lower monthly utility bills. Lease paid off by current owner, so no payments to take over.Neutral colors. Inside Laundry (incl Washer & Dryer). Spacious kitchen (white appliances incl). 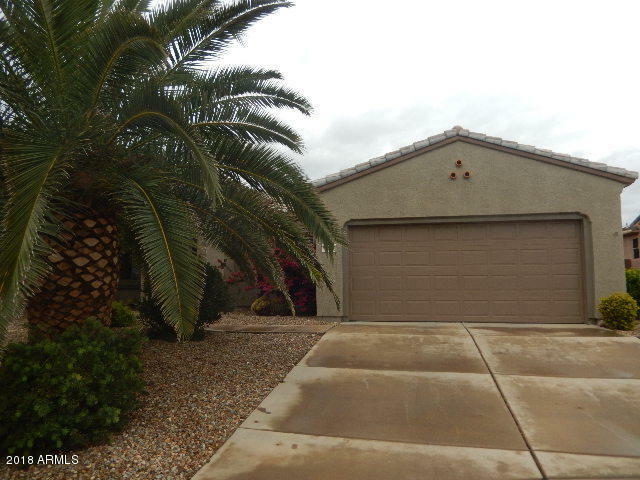 Master bedroom has extended"
"Beautiful 2 bedroom 2 bath home in Sun City Grand. This home features large open great room, dining area and nice kitchen with tile in all room accept bedrooms, two tone interior paint. The backyard has a covered patio and backyard is rock for easy care. Sun City Grand is a master planned community that offers Golf courses, pools, walk paths and recreation facilities for active adult community. This home is in a cul-de-sac with only on neighbor. This might be a great winter home or year round "